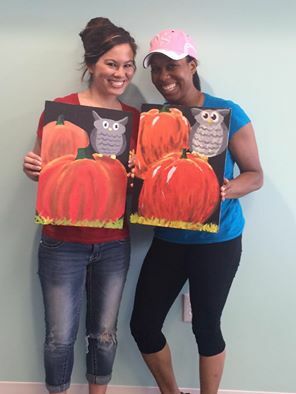 Host a private painting party in JUNE for you and 4 of your friends and you (as the host) get to paint for free! All the Fun of a Painting Class without the mess. BYOB / Food at no extra cost, you make the mess, we'll do the clean up! Customize your painting with color choices! Beautiful works of art can be inspired by Painted Clover. We'll help you discover your inner artist! We can teach everyone, even the people who can't paint stick figures (we never paint stick figures). Everyone will learn techniques and a few tricks of the trade, such as proper brush strokes and color mixing. Each class is about an two hours long, and everyone will go home with a completed, unique masterpiece!